> The skin is the largest organ and the most frequent site of cancers in humans. The life-time risk of skin cancer for fair-skinned individuals may now add up to 40%. Fortunately, the two most frequent subtypes, basal cell carcinoma (BCC) and squamous cell carcinoma (SCC), are rarely life-threatening. The rarer melanoma is and its incidence appears to increase alarmingly. > The most important carcinogen in the skin is UV radiation. It is incriminated by a clear correlation of incidence with exposure and by typical mutations found in skin cancers, i.e. point mutations at dipyrimidine sequences. This is a paradigmatic example for molecular epidemiology, which aims at determing the causes of cancer from the mutation patterns observed. In skin cancer, UV radiation acts not only as a mutagen, but also by altering gene expression in epidermal keratinocytes and mesenchymal dermal cells. It also modulates immune responses in skin. > The incidence of skin cancer is strongly influenced by inherited genetic variation. At the population level, skin pigmentation is the most obvious factor modulating risk. Individuals with inherited deficiences in the repair of UV-damaged DNA are at even greater risk, prominently xeroderma pigmentosum patients. In a different fashion, PTCH1 in BCC, certainly, ESS1 in SCC, perhaps, and CDKN2A in melanoma, in rare cases, behave as classical 'gatekeeper' tumor suppressors predisposing to skin cancer. > Basal cell carcinoma consists of undifferentiated keratinocytes resembling basal cells of the epidermis. They often carry TP53 mutations which show the diagnostic signature of being induced by UV radiation. Other consistent mutations lead to constitutive activation of the hedgehog pathway. 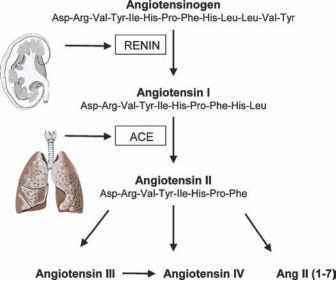 This pathway normally helps to maintain basal cells in a precursor state. Its activation explains the morphological appearance of BCC. BCC cells exhibit mutations in either an inhibitory or an activatory component of the hedgehog pathway. Most inactivating mutations affect PTCH1, which is a classical tumor suppressor. Germ-line mutations in PTCH1 occur in the Gorlin syndrome which predisposes to BCC and selected other cancers. This syndrome encompasses developmental defects which occur without mutations in the second copy of PTCH1, i.e. by haploinsufficiency. Alternatively, hedgehog pathway overactivity in BCC is caused by mutations that activate the SMO membrane protein. So, SMO1 behaves as an oncogene. y In normal skin, the main reservoir of proliferating keratinocytes consists of basal cells from which the upper protective layers of the skin are formed by terminal differentiation. This 'transient amplifying' fraction of cells can be replenished from stem cells. Normally, hedgehog activity is restricted to precursor cells. Its constitutive activation in BCC appears to confer a precursor cell phenotype to the tumor cells. ^ In SCC, keratinocyte differentiation is more advanced but proliferation does not cease. Regularly, UV-induced TP53 mutations are found, with LOH on 17p. Additional LOH is found on chromosomes 9 and/or 13q, and may signify loss of cell cycle control by p16INK4A and RB1. Together, these changes could account for blocked cell cycle exit and immortalization in SCC. > Melanoma develops from melanocytes which synthesize protective pigments. They have a different developmental origin than keratinocytes, viz. neural crest cells which migrate to the epidermis during fetal development. Melanomas are often highly invasive and form metastases much more readily than BCC and SCC. Melanoma cells maintain the expression of differentiation antigens specific for melanocytes such as gp100 and tyrosinase. In addition, they express 'cancer testis antigens' which occur otherwise only in male germ cells. These antigens may be targets of host anti-tumor immune responses and are exploited in (experimental) immunotherapy, for which melanoma seems a promising target. > Although epidemiology does not link the causation of melanoma as clearly to UV exposure as that of SCC and BCC, typical point mutations are found in many cases. They activate either the NRAS or the BRAF gene, which likely stimulate cell proliferation and cell migration. These mutations may be complemented by mutations in TP53, CDKN2A, CDK4, and PTEN that may inactivate the mechanisms by which inappropriate proliferation induces apoptosis or replicative senescence. Altered responses to melanocyte-specific growth factors may also contribute to melanoma development. 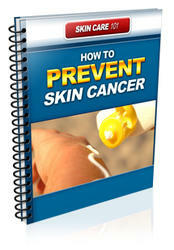 Complete Guide to Preventing Skin Cancer. We all know enough to fear the name, just as we do the words tumor and malignant. But apart from that, most of us know very little at all about cancer, especially skin cancer in itself. If I were to ask you to tell me about skin cancer right now, what would you say? Apart from the fact that its a cancer on the skin, that is.